Over the last two weeks we’ve seen the frame and headset of my latest personal project bike - the Moots RSL. 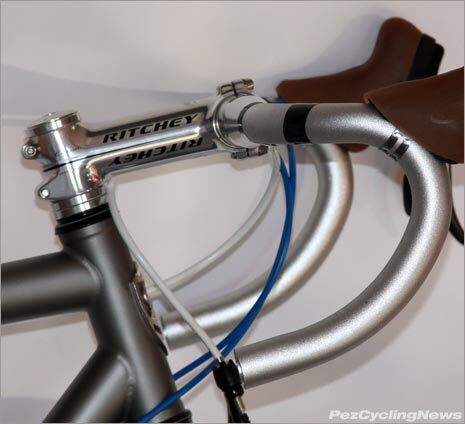 With the headset in place, it’s time to bolt on the steering mechanism – I went with Ritchey’s Classic Road Bar & 4-Axis Stem - in classic silver. 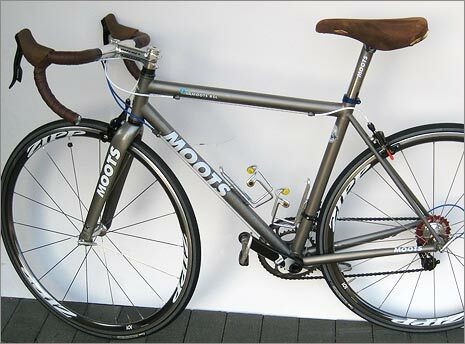 PEZ Sez: This is the second in a series of reviews that chronicle the creation and build of this custom Moots RSL. In Part 1 we looked at the raw frame. Subsequent entries will look at the individual parts and components that went into this one of kind bike. Nothing says ‘old school’ like silver bars & stem… anyone who was riding in the 80’s for sure had a bike adorned in these ubiquitous colors – we’re talking years before anodization and ‘black’ components arrived. A walk around the floor at Interbike 2010 revealed that black still rules, and there still aren’t many options for mid- and higher-end gear made from good old Alu. 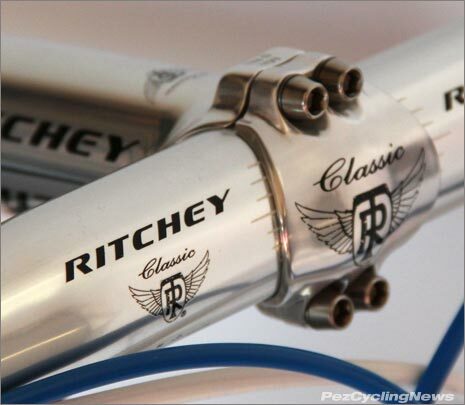 Luckily the guys at Ritchey Logic were showing ahead of the curve on this one, and their newly launched Ritchey Classic Road Bar & 4-Axis Stem were the perfect choice my ‘old school’ build Moots RSL. The Ritchey Classic Road Bar’s 128 drop & 73mm reach are a good fit for my preferred short reach and shallow drop config. 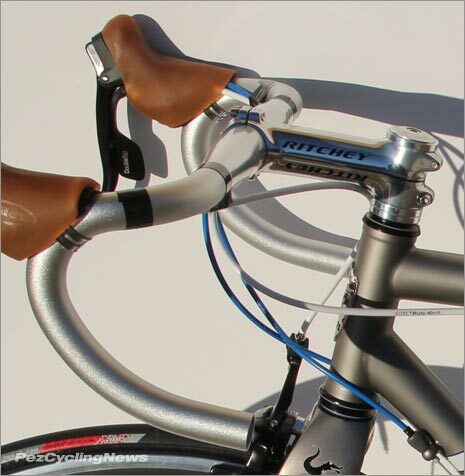 It has the same bend as their ‘Curve’ bar, and is made from triple butted 7050 series aluminum. It weighs in 266 grams for a 40 (also comes in 42, 44 center to center sizes) – not the lightest bar these days, but still in the ball park. Like most modern handlebars they’re oversized where the stem clamps, then taper to a more traditional round diameter, and shaped to offer a nice flat platform all along the top. The effective reach to the hoods can be extended nicely by mounting the levers in just the right place, and the drops curve back in a semi-ergo curving bend. Compared to the top-line carbon bars I see more often on my test bikes, the $79.95 price tag is darn reasonable, and I don’t feel like I have to worry about ‘breaking’ these in a fall, or cracking them from over tightening the stem. 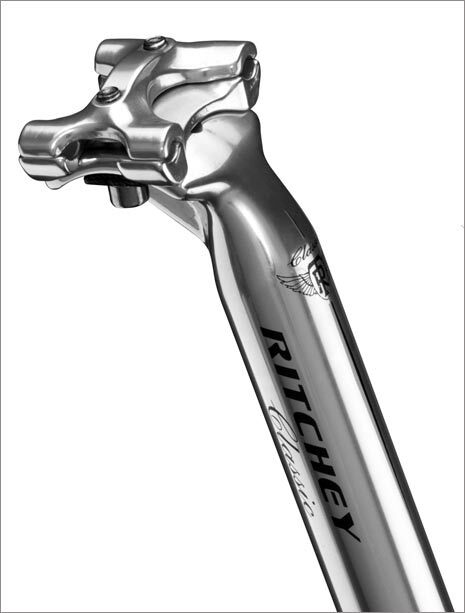 I like things that go together, so the Ritchey Classic 4-Axis Stem ($89.95) was an obvious mate – (Cadel won on a 4-Axis stem at the Mendrisio Worlds). Ritchey’s marketing director Sean Coffey schooled me on its 3D Net Forged construction being a more advanced way to align grain structure, make it stronger & lighter. Let’s hope I never have to test its limits, and weighing about 115 grams (for the 110mm size) it’s fully acceptable for my needs. 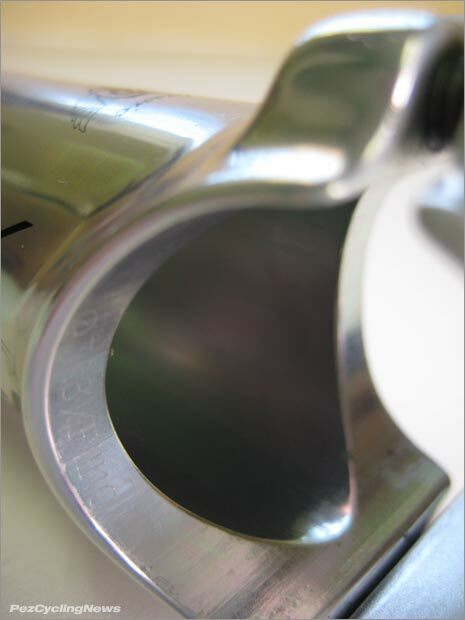 The opposing side bolts at the steerer clamp are placed on a diagonal bias which is a Tom Ritchey mainstay as their better way to distribute the clamp stress on the steerer tube and avoid pinching or cracking from incorrect tightening. 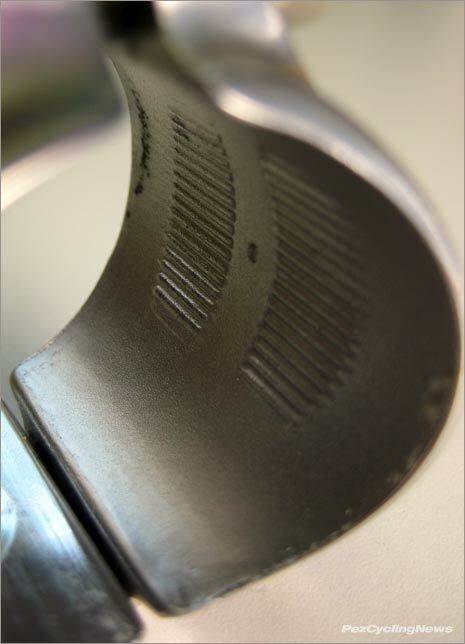 The grips inside the face plate align with the bolts. Tensioning the bar to the stem was not a problem and I had no issues with slippage. 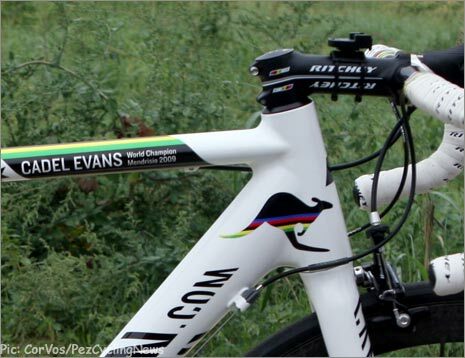 Cadel rode a Ritchey 4-Axis to his win at the 2009 Mendrisio Worlds. The smooth polished surfaces extend both inside and out – some nice attention to detail. 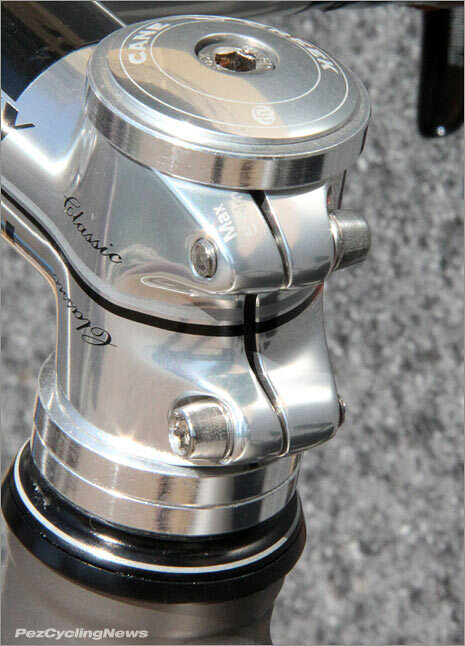 The Ritchey 4Axis (and also the new C260) stem bolts have some unique details as well. 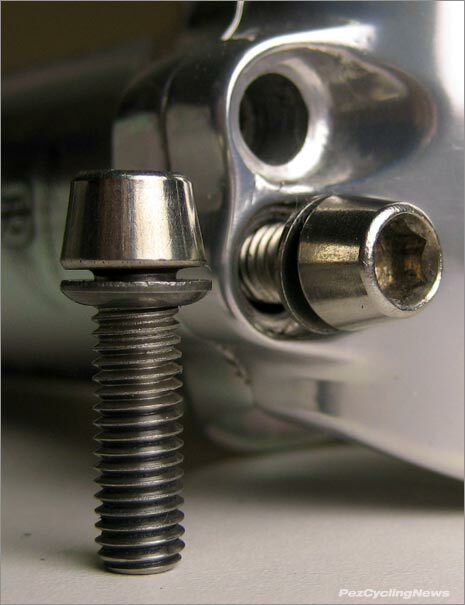 Many manufacturers use washers between the bolts and stem, but Ritchey’s hardware is domed, with corresponding domed mating surfaces on the stem/faceplate body. 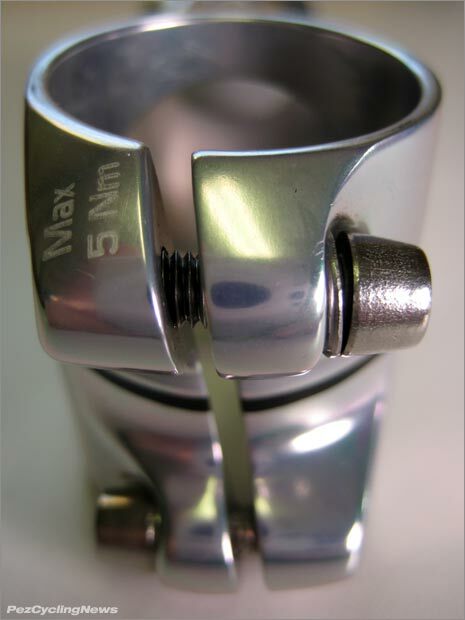 This eliminates the stress risers caused by a standard washer and 90deg mounting surface interface, and also helps the faceplate, bolt and stem body naturally align during the torque process. 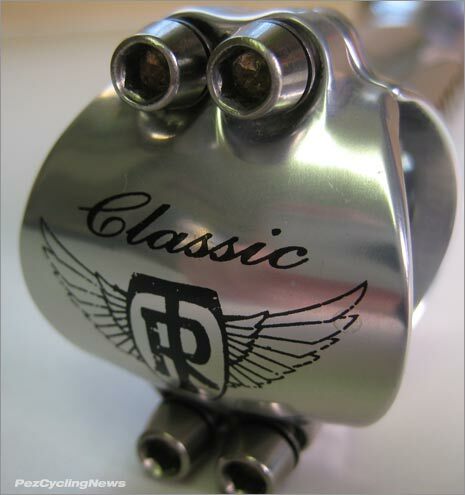 The Classic line also includes a seat post and an mtb handlebar. The seatpost is Ritchey’s two-bolt design, and wasn’t available in the size I needed at build time, but they are now – in 27.2mm, 30.9, 31.6, all with a 20mm setback. Price is $79.95. While the Classic line remains unchanged for 2012, I was told that several of the Ritchey-sponsored Team United Health Care pros actually requested the Classic components for their bikes. Christian Meier went on the record for PEZ: “Being a fan of things that stand out from the crowd, I wanted a set of the Classic set up straight away. Uber cool retro, love it, with a great shape and feel." So it’s not just me who likes looking good, this pro-level endorsement also adds some pro-level cred. While the look, quality, and price of this package should appeal to a broad section for riders, perception of actual performance is still up to the individual. Pick ten riders and you’ll likely find 10 different body types, 10 different riding styles, and 10 different ways to interpret equipment performance. Mount the bars & stem on 10 different bikes and the goal posts change again. I can say that these are a nice match to the Moots RSL - I found the rigidity a nice balance to the more forgiving front end of the Moots and its fork. The flat top of the bars allowed for a wider range of fine tune placement of the SRAM Apex levers, and the consistent curve of the bar offered a constant grip position in the drops even when I rotated the bars slightly up or down. They get the job done, feel good, and look great as part of this project build. And given the price tags, I’d say they’re considering next time you need something to hold on to. 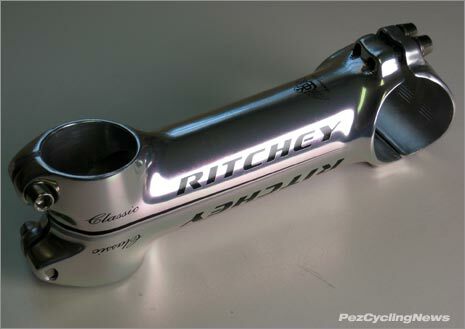 • See the website at RitcheyLogic.com for a dealer near you. In the coming weeks I’ll take you through the addition of each component and full build up of the bike.